There is no place like home to this 3rd generation Idaho native. 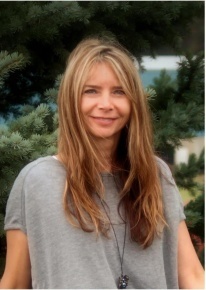 Raised in beautiful Coeur d’Alene, Bonnie has in-depth knowledge of the area and a great appreciation for the lifestyle the Lake City and surrounding areas have to offer. Small town values and knowledge of the local market lends itself to consistently earning her client’s trust. Bonnie is dedicated to providing a high level of service and determined to exceed her client’s expectations. She listens closely to each client’s unique set of circumstances and provides sound advice throughout the transaction- treating every client as though she were in their shoes. Prior to a career in real estate, Bonnie served the Great State of Idaho for over 18-years as a Workforce Consultant and Business Specialist for the Idaho Department of Labor. Her vast experience includes collaborating with the health care industry and education to bridge workforce gaps, case management for “at risk” youth, career counseling at Kootenai Technical Education Campus (KTEC) and working as a Disability Program Navigator. She served on numerous committees to include the Veteran’s Stand Down and the Homeless Coalition, to name a few. Bonnie received an, “Outstanding Service Award” in 2014 for providing outstanding service to the citizens of the Great State of Idaho. Bonnie graduated from Lewis-Clark State College with a Bachelor of Science degree in Elementary Education. She is an avid animal lover with a spoiled Labrador Retriever named, Squirrel. Bonnie enjoys taking advantage of the North Idaho four seasons by snowboarding, snowmobiling, waterskiing, jet boating, gardening, exploring the backcountry, and picking huckleberries.